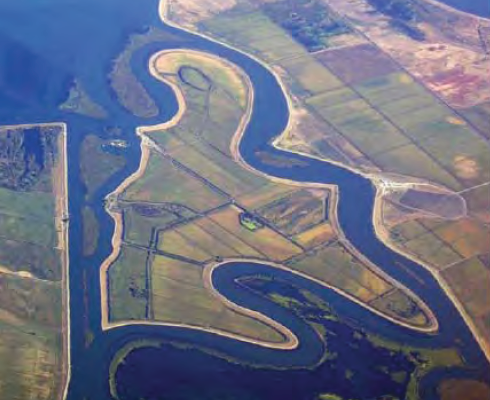 Beginning in December 2005, a group of faculty and researchers affiliated with the UC Davis Center for Watershed Sciences/John Muir Institute of the Environment and the nonprofit Public Policy Institute of California (PPIC) began meetings to discuss the future of the Delta. The intent was to complete a major independent report analysing options for managing the increasingly unstable Sacramento-San Joaquin Delta. The group included Ellen Hanak (Economist) with PPIC and from UC Davis: Jay Lund (Civil and Environmental Engineering), Jeff Mount (Geology), Peter Moyle (Wildlife and Conservation Biology), Richard Howitt (Agricultural and Resource Economics), and William Fleenor (Civil and Environmental Engineering). The report, available February 7, 2007, can be found for purchase or free download on the PPIC Web site at http://www.ppic.org/main/publication.asp?i=671. In addition to the 300 page report, there is an 8 page research brief. The sustained multi-disciplinary deliberations benefited greatly from three outreach efforts: 1) discussions with stakeholders and policy makers regarding the Delta, 2) discussions with Delta hydrodymanics experts and 3) discussions with experts on Delta ecosystems. Beyond the deliberations and discussions were extensive background reading by the report authors and computer modeling of water supply adaptations and economic impacts (using CALVIN) and modeling of agricultural production economics within the Delta for various salinity conditions (using DAP). These modeling efforts were conducted largely by two PhD students, Stacy Tanaka and Marcelo Olivares. These are described in the report.